The shaggy parasol, lepiota rhacodes, is one of the most distinctive of the toadstool-shaped fungi. This specimen had only recently emerged. 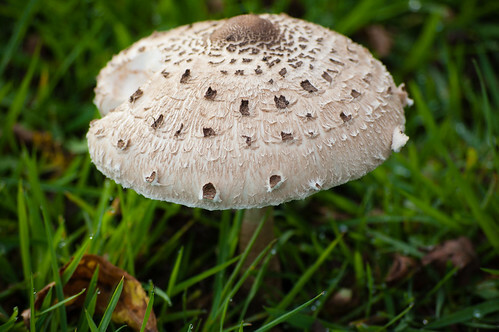 If it is not disturbed, the cap will flatten as it grows, eventually spreading out to as much as six inches wide while keeping the flaky appearance.